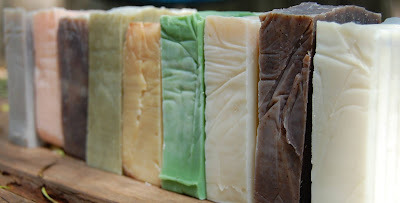 Artisan Soap & Mists, Authentically Austin & Amazingly Aromatic. 100% All Natural Ingredients from the Butters to Oils to Coloring. Does anyone else feel like a good shower or bath can be just what you need to achieve a zen-like state? Something about the water and washing off the accumulation of a long day. 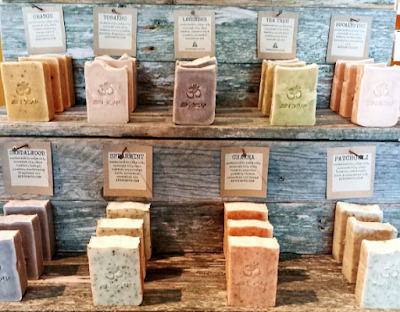 The effect is even stronger when you use all natural soaps with simple and pure ingredients like those favored by the handmade brand Zen Soap. This Austin based small batch business is built on only putting wholesomeness into what they make. The elements of each bar are "plant based and earth derived" for the ideal cleansing. They hand make everything from their molds to their recipes to their soaps, and the craftsmanship shows! It's only fitting that their packaging and art show displays are simple as well, no extra frills, just the high quality, 100% real soap. Zen uses natural butters and oils to moisturize and condition as they clean. Plus the aromas are amazing, also part of the magic behind the zen-like calming and reinvigorating. Other offerings in their line of all natural bath and beauty goods are mists and perfumes. The only trouble is choosing! Lately they've started a subscription box option so you can enjoy a whole range of their products delivered to your door monthly. We all get dirty, but the way you choose to clean up can be the difference between feeling ok and feeling great. 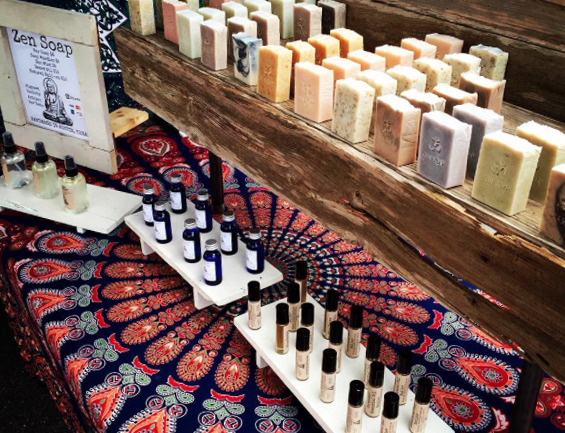 Find your ideal clean with Zen Soap!